Congratulations! You're already well on your way to owning a copy of one, or perhaps even all, of my books. Let me know as soon as you finish these, and I'll write some more books! 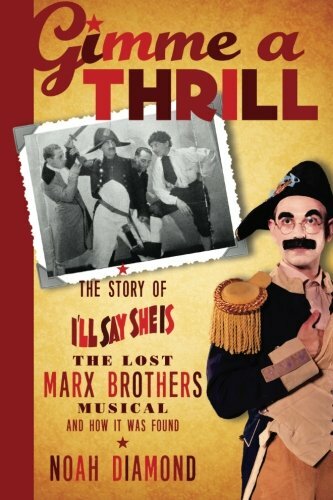 The definitive history of I'll Say She Is, including the Marx Brothers' original, legendary production, and my personal odyssey of restoring and reviving it. The most complete and detailed history of I'll Say She Is ever written, Gimme a Thrill also includes more than eighty rare photographs, including many published here for the first time. 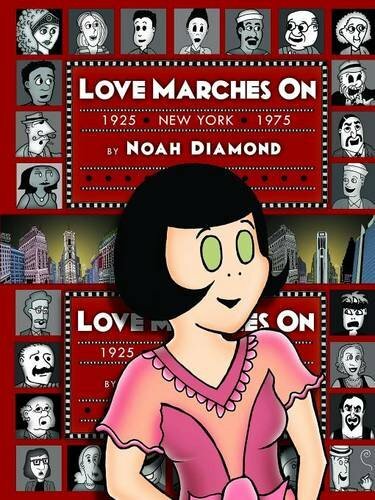 The Love Marches On book collects the entire series of Love Marches On comic strips and broadsheets (originally published in 2013), along with much supplemental material and other bonus features. 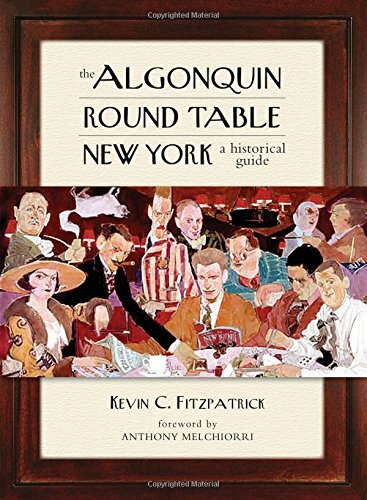 The story takes place in and around Times Square, in the years 1925 and 1975. 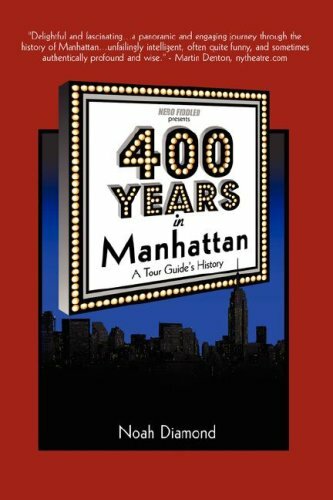 Based on my stage show of the same name, 400 Years in Manhattan presents a potted history of the world's most enchanted island, along with recollections of my career as a tour guide in the scrappy heyday of the double-decker bus biz. 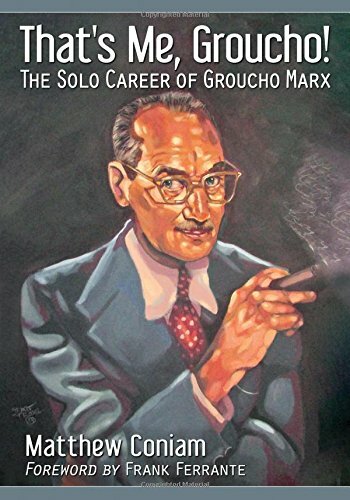 Matthew Coniam’s excellent That’s Me, Groucho hardly needs my illustrated essay “Anatomy of a Moustache” in order to be a great and invaluable work — but it doesn’t hurt! 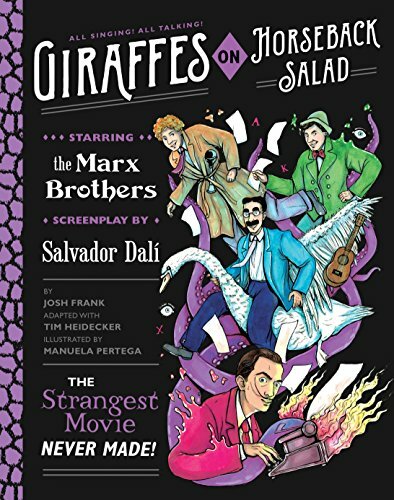 Josh Frank, Tim Heidecker, and Manuela Pertega took Salvador Dali’s old concept for a surreal Marx Brothers film and turned it into this dazzling graphic novel. I helped with the lyrics. 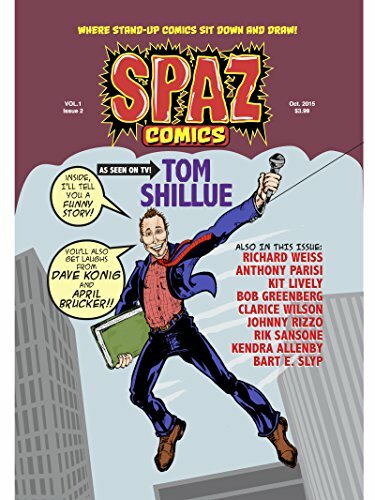 My own “Teen Mania” appears in the first hilarious issue of Rik Sansone’s delightful Spaz Comics. 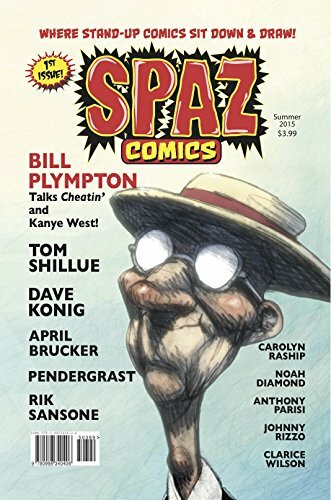 My photo essay “Penguin Home Invasion” appears in the second delightful issue of Rik Sansone’s hilarious Spaz Comics.